Illinois Gov. J.B. Pritzker said he’ll work with minority Republicans, but warned that partisan opponents to the idea of a progressive tax will be met with "considerable political will." "But if you lead with partisanship and scare tactics, you will be met with considerable political will," Pritzker said. 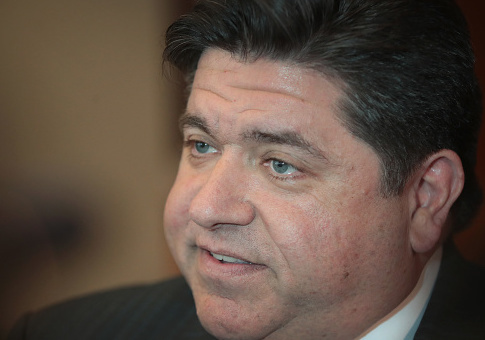 Pritzker and other supporters of a progressive, or graduated, income tax have said taxing people more based off their wealth will bring more money into the state’s coffers. Opponents of changing the current flat income tax in the constitution to a tiered structure say it will lead to more burden on small business operators, or could lead to wealthy people moving out of the state. Sen. Minority Leader Bill Brady, R-Bloomington, said on something like the progressive income tax "that’s not a partisan divide, it’s a philosophical issue." "We Republicans believed that reducing the burden on families and businesses is more productive, more conducive to economic growth," Brady said. "He believes, obviously strongly, the way he does, but he’s been very clear aside from that issue, there are many issues we can work together on." That’s why state Sen. Cristina Castro, D-Elgin, said she expects a two-year public campaign about changing the income tax structure. She said there’s a lot of unknowns about a progressive tax. "There’s some general support," Castro said. "But one of the things is what is it going to look like? I think a lot of us, including myself, want to see what it looks like." Pritzker campaigned on the progressive income tax issue, but despite continued badgering by the media, and repeated questions in the debates, he never revealed details about what he would like the rate structure to look like. He said it was a conversation the legislature would have to take part in. The current rate is 4.95 percent, up from 3.75 percent after last summer's $5 billion income tax hike. Pritzker has said he doesn't support Martwick’s plan, but has not revealed what rates would be acceptable to him. Republicans have said that changing the flat tax to a tiered structure is entirely the wrong approach, but they will be in the super minority with little ability to stop such legislation putting the question on a statewide ballot, unless some Democrats don’t side with the change. One downstate Democrat in a more conservative area, state Rep. Jerry Costello, D-Smithton, said he’s against a progressive tax. Standing with a handful of protesters wearing yellow vests outside the inauguration, Kristin Wiley said Pritzker's rhetoric was "terrifying." "Anything different from what he thinks is going to be smacked down and that is not working together at all, that’s ‘my way or the highway,’ that’s what he said," Wiley said.